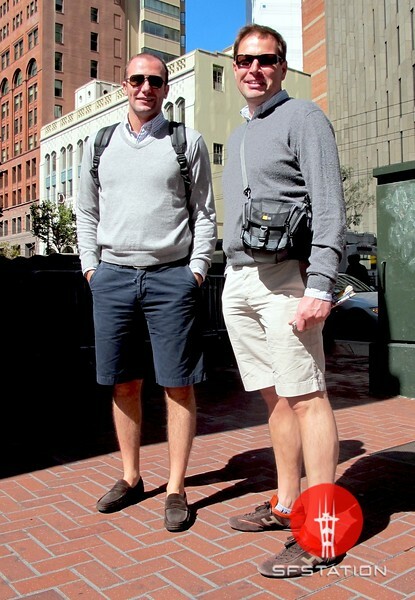 In This Scene: Olivier Scius (left) and Jean Van Den Wouwer (right), on holiday from Belgium and both sporting casual shorts, shirts and v-necks. I love how they are matching, but I really just love how this look could be very American. These shorts aren't super tight and they are knee length--they aren't however baggy or covered in cargo pockets! This is a simple, casual look that definitely works for SF.